Capcom’s Yoshinori Ono, best known for his work as the Street Fighter series producer, has explained that the Wii U will offer many “unique possibilities” that will be hard for consumers to appreciate through reading or hearing about it through the media. Ono-san wouldn’t discuss Capcom’s progress with the Wii U in more detail, joking that Nintendo would send assassins to finish him off! 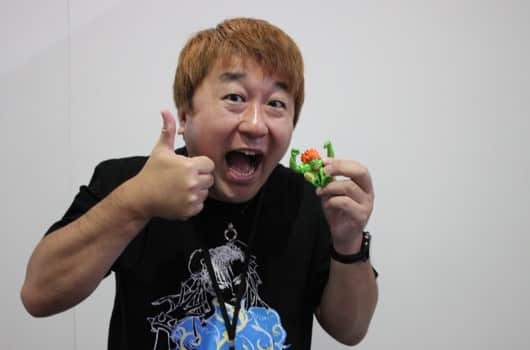 “What we saw last E3 is not a reflection of everything this console is able to offer”, Ono-san explained to 3D Juegos. “We have been trying the development kits and some of its new characteristics will improve its possibilities. It isn’t something like Kinect or similar accessories, it’s something different”. He continued, “I can’t tell you more about it because, if I do, Nintendo will send assassins to finish me! [laughs] But let’s say that Wii U will be a console with so many and unique possibilities that it will be difficult to show them in the box they are going to sell it or to be published by magazines and other mediums”.